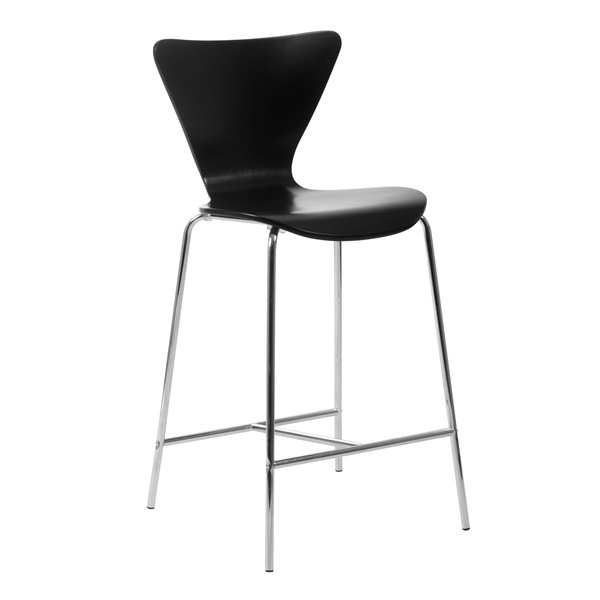 We just LOVE these stools. They are so comfortable and sleek. They look great at our kitchen counter. it appears the black in one picture has a black base but I don't see an option for selecting the base color. Can I get the black with black base? This item is not available with a black base. The base is made of chrome which is shiny so the photo appears to be black as it is reflecting the color of the seat. Can you buy just 3 of the walnut counter stools? Unfortunately that is not possible for this item. This item comes packaged in a box of 2 and we are unable to break the box to ship 3 stools.